GT-Xcontrol Loco booster can program a DCC-decoder directly from GT-Command over radio to the tracks. GT-Xcontrol Loco Booster can operate 3 A on the tracks with a peak performance of 5A. 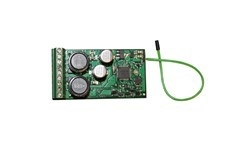 GT-Xcontrol Loco Booster is Itemnumber 1302731 in the web-shop.